We got very creative in January. 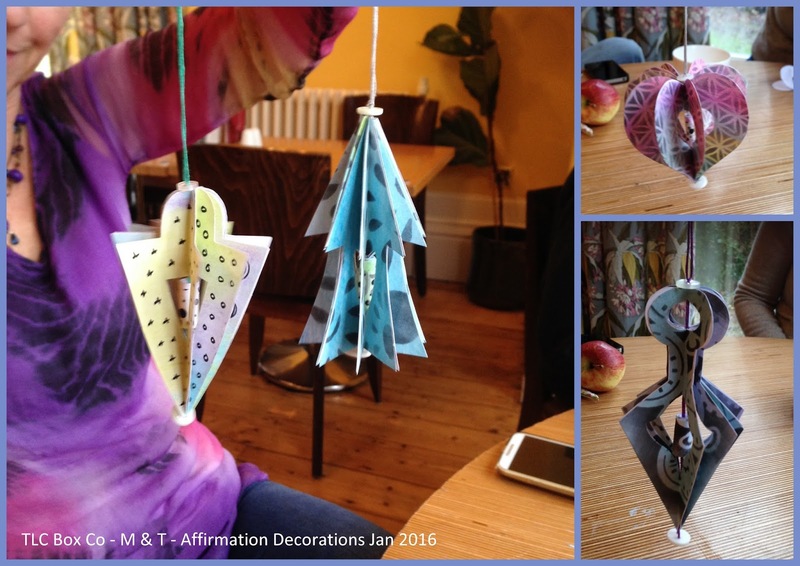 We made some New Year Decorations with a secret message inside that we'd written on a piece of paper and then rolled into a bead which we wrapped up with decorative washi tape. The decorations were made by firstly decorating an A4 piece of card using my favourite Caron D'ache Neo-Color II water soluble wax crayons and then stencilling with Tim Holtz Distress Ink or doodling with a Black Sharpie. We then drew a shape pattern which we traced around 10 times and then cut out. Each shape was then folded in half, glued together to form a "round" and then the bead was fixed inside the centre using embroidery thread and a couple of buttons. 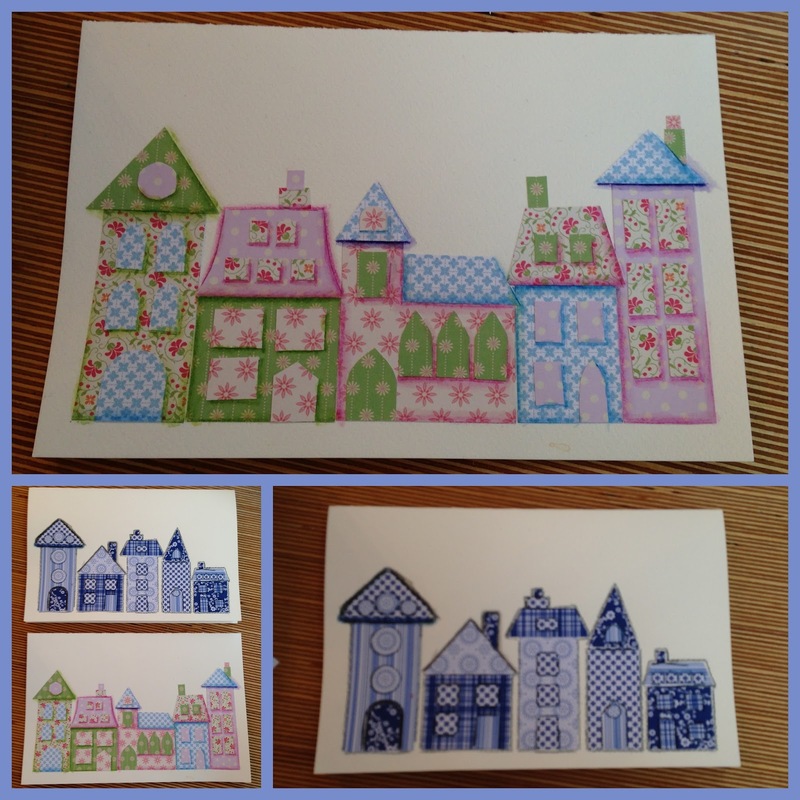 In the next session we made collaged buildings using decorative papers. These would make lovely greetings cards. I love making these and they feature alot in my art work. I love to doodle on them and add other elements.